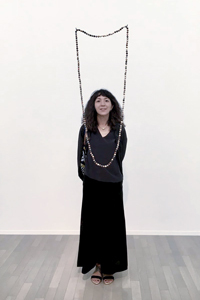 Aki begun her career as a sumie artist in 1988 performing globally. 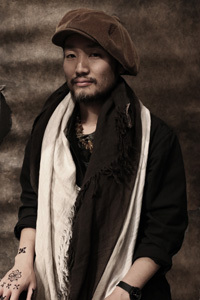 Aki then switched to become a designer in 2004. As a creative director, Aki provides brand consultation and design direction to her clients. She joined Fermenstation in 2015 being responsible for its brand development and logo design, product naming, catalog and website creation. Aki has been involved with Fermenstation since 2012. From naming to design, original product development Aki provides a wide range of consulting services from concept creation to packaging and PR. Other activities include writing and publishing, art director for design events such as “DESIGN TIDE”. Aki has been awarded many creative awards globally. Lina has worked at Fuji Bank., Ltd. (Currently Mizuho Corporate Bank, Ltd.), and Deutsche Securities. Fermenstation is a premium ethanol venture business manufacturing alcohol and fermented residue from rice. Fermenstation mainly supplies premium alcohol to the cosmetic industry as ingredient and also develops and markets its own original products. It developed a sustainable and eco-friendly business model whereby any byproduct is turned into a value-add ingredient or product in and of itself. Japan Representative for Creative Business Cup 2014 Denmark etc. Her Products received Social Products Award 2014. Born in 1999,and is the next generation representative. Switched from high school to online education to research the world with the theme of “final design”. She qualified as a permaculture designer at the age of 16. Currently studying land scape design at Kyoto Institute of Art and studying the relationship between animals and plants and people in the 21st century. Also a member of FOLKHOOD. studied Haut-Couture, joined in a fashion company. fusion, the interest eventually returned back to the Japanese roots, Kimono. moved to Amami Oshima in 2006. PROJECT” (DENTŌBI = traditional beauty) . Continuing activities between Kamakura and Amami Oshima today.